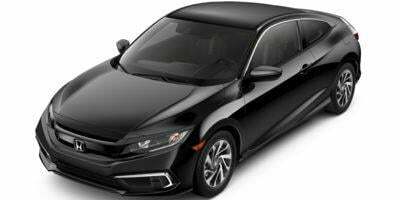 Adding a healthy dose of sport excitement with economy car motoring, the Honda Civic first appeared with a two-door coupe body style in 1993. The coupe's arrival with the fifth generation Civic proved highly popular especially amongst younger buyers. Starting in 2005, Honda has maintained separate identities for the Civic Sedan and the Civic Coupe with unique styling attributes used for each body style. An all-new eighth generation model of the Civic introduced in 2006 featuring Honda's Advanced Compatibility Engineering (ACE) Body Structure and power from an i-VTEC four-cylinder engine. The 2006 model year also featured the return of the performance-oriented Si Honda Civic Coupe. Briefly offered in coupe form for 1999 and 2000, the Civic Coupe Si's 2006 iteration provided a 197-horsepower engine, six-speed manual and limited-slip differential. For the 2012 model year, a new, lighter Honda Civic Coupe was sold with major equipment update following just one year later. For 2016, the Honda Civic Coupe has been completely re-engineered with an aggressively-styled outer shell and now features an optional turbocharged engine. The Civic Coupe is compact and modern with lots of available, sporty add-ons.